It pains me, both physically and emotionally, to write this message. On Saturday, I spent most of the morning shopping for the perfect, yet functionally warm, outfit for one of my favorite races of the year. Jingle All the Way. This was the first year I was going to attempt the 15k as part of my 13 mile marathon training weekend requirement. I finished laying out my outfit so it would be there early the next morning. I had already picked up my bib, and cashed out the balance of my Pacers reward points on various nutritional items to stock my backpack. As I walked across the room to sit down in my office, I tripped over a bag. In true “Jamie” fashion the fall was spectacular, with its own brand of flourish. I fell over a chair, and it all happened so fast that I am not sure if it was the chair or the lower foot of my desk that slammed into my lower back. I have fallen literally thousands of times in my 36 years living with cerebral palsy, but this was scary. It was one of the few times I actually remember being scared of serious injury. I was stunned. I remember saying aloud, “No, no, no.” For a split second, I took inventory and confirmed I could still feel all of my extremities. I decided to take ibuprofen, lay down, and reassess in one hour. After a one hour nap, I woke up and felt better at first. I put on my running clothes to try to go to the gym to evaluate the damage. I did not even make it out of my hallway. Immediately, I called Lisa, Pacers Race Director, and Steve, who was supposed to run with me the next day. Lisa was already evaluating if I needed to drop back to the 5k due to weather, so we called off my race for Sunday and sadly, it became a rest day. We decided that we would check in after the race to evaluate if I needed to get checked out further. On Sunday, I had lunch with a friend in my building and spent the day in close proximity to my heating pad. I enjoyed wine, and coffee with a splash of Bailey’s in an attempt to at least take the edge off of the acute pain. Sitting down and getting up was excrutiating, and getting into and out of the shower was like taking my life into my own hands. By 5:00 pm, there was still no improvement. I was growing concerned I had done something very serious to my back. Something that may derail my marathon or cause long-term damage. 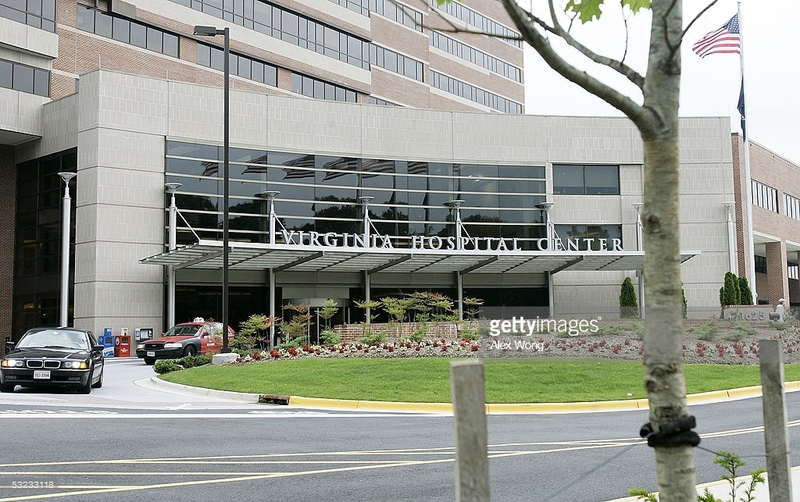 I put myself in an Uber and headed off to the ER at Virginia Hospital Center. I was surprised how quickly I was seen. I had a great doctor, who never balked when I told her I was a runner in training for my first marathon. I got emotional, and let her know that it was very important to me that I make sure nothing was wrong, since I had already worked so hard. I did not want anything to stand in the way of me completing the marathon. She was so understanding and calming. She immediately asked me when the race was and told me she thought I would be fine to make that race day. I had to end up getting a pelvic x-ray, which came back clear, and I was diagnosed with a contusion (deep muscle bruise). I am now adhering to a regimen of ice and pain medication. As soon as things start to improve, I can switch to heat. In reviewing my aftercare instructions, I see that my treating physician wrote that I may return to training once pain resolves. She estimated that would be 7 -10 days. I was pleasantly surprised when she cautioned me that she knew this would be difficult since I am so active. I am so thankful that this issue was not more serious than a bruise. Although at present, I am still in pain and slow moving, things are improving and I am cautiously optimistic. I am probably going to have to adjust my training plan, but I am not down for the count, which I consider my own personal Christmas miracle.